One of South Africa’s most well-known tourism personalities – Bill Harrop offers scenic balloon flights across the picturesque Magalies River Valley. 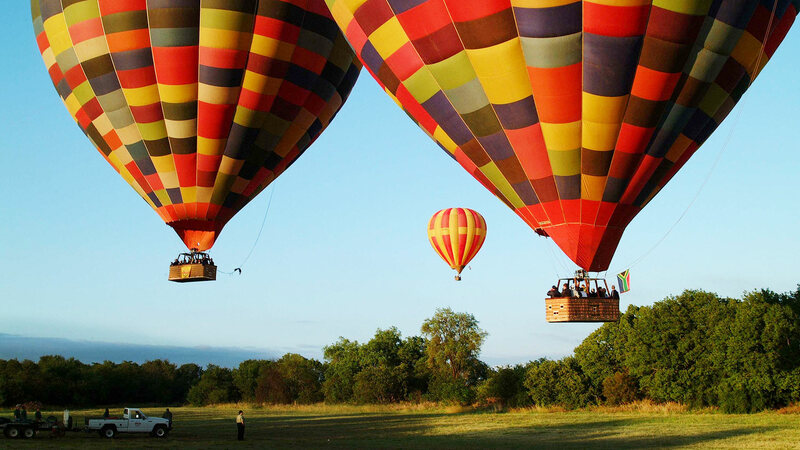 A mere 45 km north of Johannesburg, the balloon flight is a memorable activity to enjoy whilst visiting the Cradle of Humankind World Heritage site area for the day. A balloon flight offers a unique combination of an adrenalin rush and tranquil views. The activity starts off at sunrise when weather conditions are normally at their best for ballooning. Enjoy the thrill of gliding gently above the countryside as the world beneath you awakes to a new day. After landing a hearty breakfast is served back at the Clubhouse to round off the experience. Note that this is not a game viewing experience, the balloon flight overs scenic countryside views.